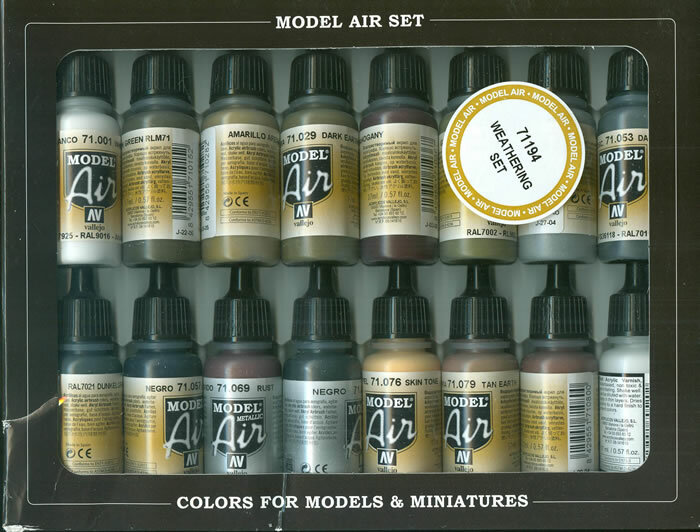 Advantages: Most airbrush ready colors useful for weathering armored vehicles and some aircraft in one package. Recommendation: Highly Recommended for anyone using an airbrush for weathering armor finishes. The colors are easily mixed with each other so specific shades can be matched and most general weathering of a model (less the more advanced techniques of today with mixed medium weathering, chipping, “filters” and the like) and will provide a very broad pallette for the modeler. Overall this is a good deal for this set and as noted quite often can be found for very reasonable prices.